A clear understanding of how we define the use of the word 'professional' is hereby given in order to differentiate between a salmon fishing guide (ghillie) who operates (or has operated) in a 'full time' career based capacity as opposed to a 'non full time' salmon fishing guide (ghillie) who has not gained the practical all round salmon fishing skills which in our opinion are only obtained through many years of 'full time' river bank experience with salmon, their habits & hosting clients. We firmly believe that practical career based 'full time' experience is the key to successful salmon fishing guiding and only those who qualify with a minimum of 5 years 'full time' experience are chosen by ourselves to host clients. 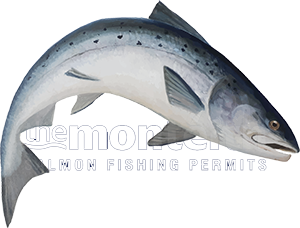 Those who do not (or have not) worked 'full time' for a minimum of 5 years on the salmon rivers of Scotland or who are not (or have never been) engaged in Scottish salmon fishing as their 'primary' career are deemed by us to be not of 'professional' guide status. It is important to fully understand that through Monteith Salmon Fishing Services only 'professional' salmon fishing guides are engaged to host our clients in order to provide 'the full picture' of salmon fishing knowledge, traditional & simplistic casting techniques, river craft and general salmon fishing skills from what is (and has always been) the 'true core' of the Scottish salmon fishing industry. A website presence and good technical Google search engine optimisation skills are no substitute for 'professional' salmon river career experience.